Inspired by Scotland's national flag which is steeped in history. It is thought to be the oldest national flag in Europe. Inspired by Scotland's national flag which is steeped in history. It is thought to be the oldest national flag in Europe. 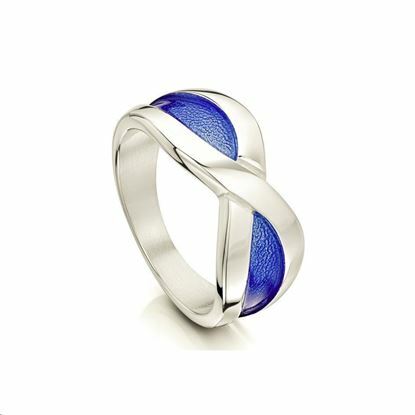 These rings are available in silver with Sapphire Blue enamel or diamond set in gold, palladium and platinum.